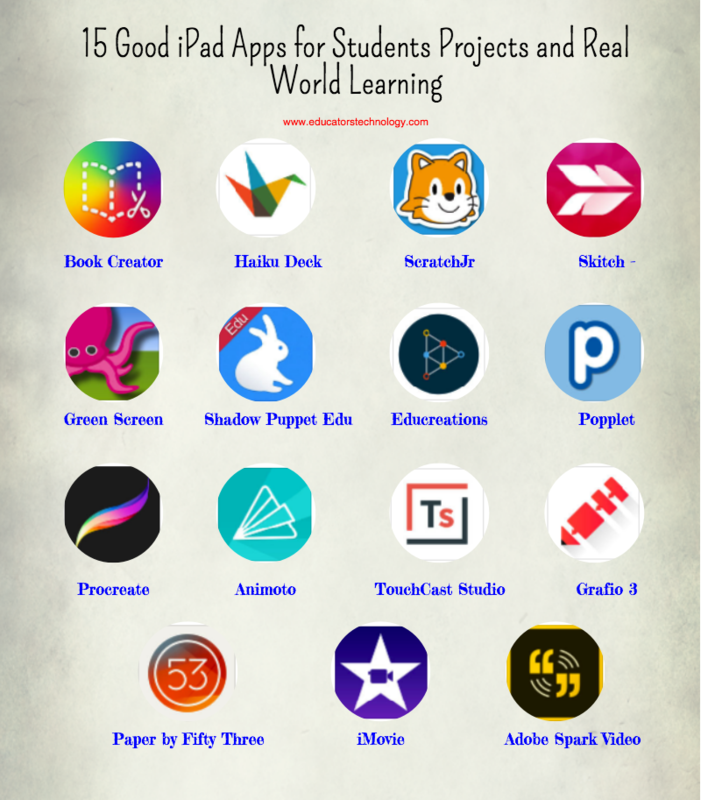 Here is a collection of some very good iPad apps students can use in their classroom projects. The apps, which are curated from Apple's Real World Learning collection, are geared towards enhancing a number of key skills that include: creative thinking, design skills, literacy skills, coding, and many more. Some of the things students can accomplish using these applications include: create beautiful ebooks to share with others; create visual sketches to record notes; design educational video clips, screencasts and presentations; capture and organize ideas in diagrams and mind maps.